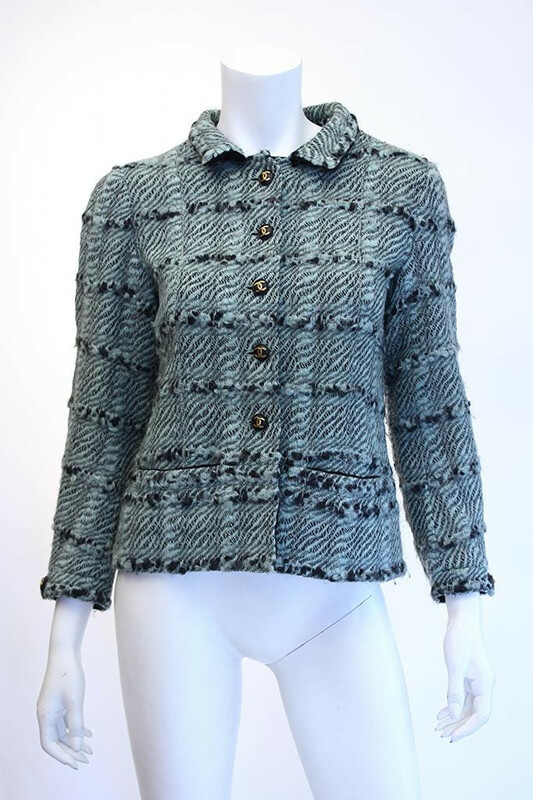 A Vintage Chanel jacket is perhaps one of the most classic (and long-lasting!) pieces in fashion history. First designed in 1954 by the infamous Coco Chanel, a true cardigan-style Chanel jacket had (and largely still does) some defining characteristics. * If there was trim (and there almost always was), it was braided, and in a contrasting color. * The pieces were often lined in silk, and almost always included a chain sewn into the hemline to help weight the jacket and ensure it always hung straight (hello, genius).Today, the Chanel brand is one of the few remaining houses of fashion to weight their jacket hems (or at the very least line them with a fine chain of some sort). *Another (very recognizable) characteristic of the Chanel tweed jacket was the materials it was made of—yep, we’re talking about tweed and boucle. Tweed is a rough, unfinished wool traditionally used for outerwear—Chanel discovered its functionality when she borrowed outerwear from a suitor. Boucle is similar, but has its own distinct look—where tweed is an unfinished wool, boucle (which can be wool) is made in such a way that the different strands of yarn are plied at different tensions, creating a textured, sort of nubbly appearance. 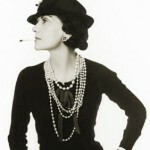 Starting was back in the mid-1920s, Coco Chanel worked with a Scottish factory to produce what would become iconic tweed fabrics, which she used in many of her designs, including skirts and jackets. In the 1930s, Chanel switched manufacturing factories to a location in northern France, and began experimenting with incorporating other types of fabrics into her tweed designs. 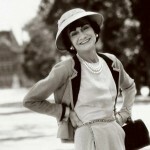 By the 1950s, Chanel designed her famous jackets to help free women from the restricting silhouette of the time period, believing that designers had forgotten the women inside the clothes—yes, women wanted to be looked at and admired, but their clothing also needed to be functional enough to enable them to get in and out of a car or around their daily lives without being uncomfortable or ripping. Chanel jackets are great for many, many reasons, but I love them most for their versatility—dress it up or dress it down, it’s a classic look. Want to see exactly how each jacket is made? 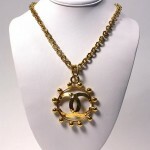 Check out the video The Secrets of the Little Back Jacket by Chanel, and see for yourself. Feel the need for a (new? first?) Chanel jacket of your own? 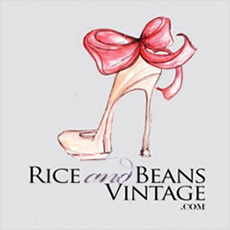 We’re always on the hunt here at Rice and Beans Vintage, and would love to scope out the perfect vintage Chanel for your wardrobe.